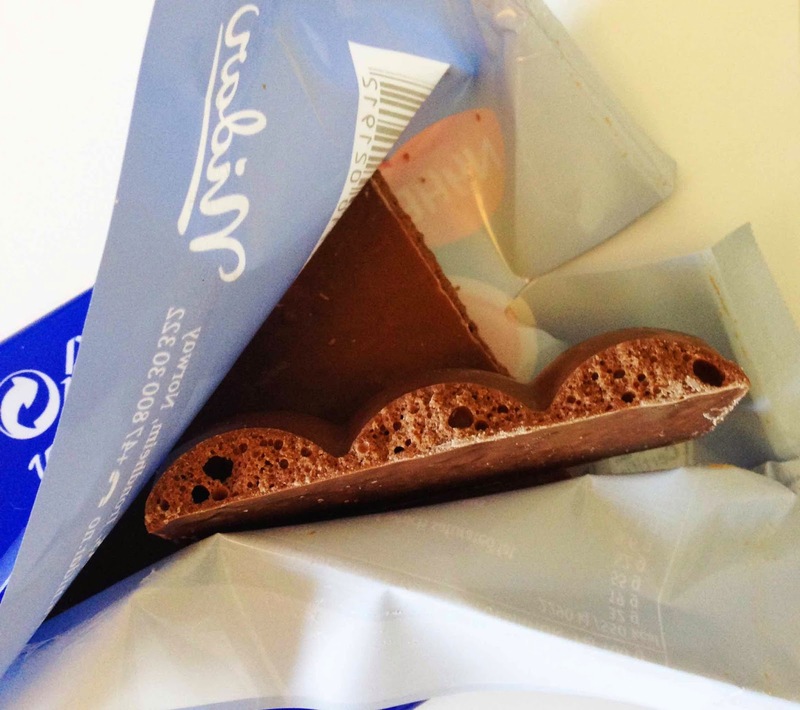 Stratos is a milk chocolate with bubbles, just like Cadbury Bubbles, Milka Luflée, Marabou Bubblig Mjölkchoklad etc. I like very much Swedish Marabou's take on bubbly chocolate so it was interesting to try a Norweigan version. Stratos chocolate had a distinct malty scent. I took a bite and there was a strong maltiness combined with a sweet, round chocolate taste. The chocolate was a little bit dry and it wasn't the best quality milk chocolate I've had. It reminded me of Cadbury Dairy Milk but it was a bit better. Dairy Milk is overly sweet in my opinion.